"The DePaul University Moot Court Team and the Lawyers’ Committee for Cultural Heritage Preservation invite you to participate in the Third Annual National Cultural Heritage Law Moot Court Competition in Chicago, Illinois. 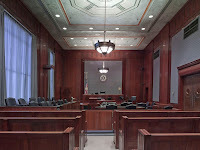 This year’s competition will be held 24-25 February 2012 at the Everett McKinley Dirksen Federal Courthouse, home of the Seventh Circuit Court of Appeals. The Competition has been a great success in the past and judges have included distinguished academics, practitioners, and active judges. 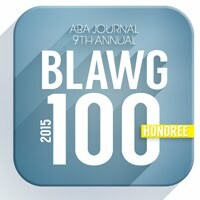 This year we are proud to welcome Judge Diane Wood of the Seventh Circuit to our final round judging panel. Cultural heritage law deals with our most prized possessions and spans beyond national borders; it has become the subject of contentious legal debates and policies. This dynamic and growing legal field deals with the issues that arise as our society comes to appreciate the important symbolic, historical and emotional role that cultural heritage plays in our lives. It encompasses several areas of law: protection of archaeological sites; preservation of historic structures and the built environment; preservation of and respect for both the tangible and intangible indigenous cultural heritage; the international market in art works and antiquities; and recovery of stolen art works. The 2012 problem will address two issues concerning the Theft of Major Artwork Act (18 U.S.C. § 668). The first focuses on Congress’ Article I, Section 8 authority to regulate interstate commerce and the second on statutory interpretation of the Act. We would love to see your school participate in the competition this Spring. Registration is now open and applications will be accepted until November 11th. Additional information about the registration process is available on our website at law.depaul.edu/chmoot, and if you have any questions, please do not hesitate to contact the Competition committee anytime at chmoot@gmail.com."